“From what we understand, he was trained by the Republican Party,” Sandoval told TPM. The Grant County Republican Party did not respond to a request for comment. Rubin allegedly voted at one polling location in Henderson, Nev. on Oct. 29 and then went to another voting location in Las Vegas to try to vote again. Poll workers told her records indicated she had already voted, but Rubin allegedly told them she hadn’t. 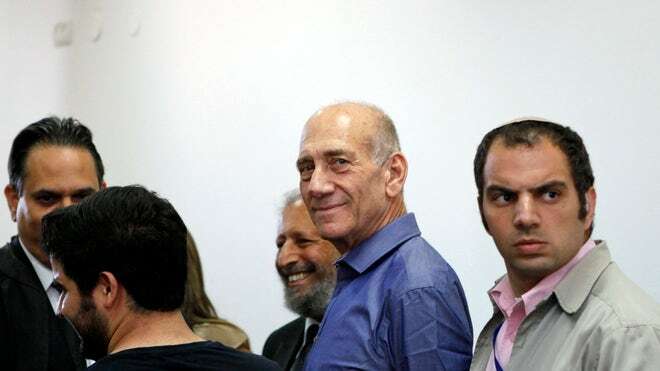 A poll worker reportedly overheard Rubin tell another man that she had “signed my name differently, and they did not ask for ID.” She was arrested at the Riviera Hotel and Casino in Las Vegas and charged with a category “D” felony. A panel discussion about voter ID laws in Pennsylvania took place at the Liberties Bar and Restaurant, in Philadelphia’s Northern Liberties area. The discussion was sponsored by the Philadelphia chapter of the Jewish labor Committee (JLC) in collaboration with the Philadelphia AFL-CIO, the Coalition of Labor Union Women (CLUW), and the Jewish Community Relations Council (JCRC). Referring to the recent Pennsylvania Supreme Court decision suspending provisions of the voter ID law, Hornstein said, “We’re going to pivot the energy from making sure everyone has the proper ID, which is of course what the right-wing wanted us to be focused on, to actually getting out the vote. Hornstein introduced the panel: Laura Wentz, Executive Vice-President of the Coalition of Labor Union Women, and member of IATSE Local 8; Elizabeth McElroy, Secretary-Treasurer of the Philadelphia AFL-CIO; State Senator Daylin Leach; and Anne Gemmell, Political Director of Fight for Philly. Liz McElroy reminded people that “Before 2006, no state had a law in their books for photo ID every time somebody voted. Today, now, at least thirty (states) do. That’s not an accident, if you think about what happened in those intervening six years in this country.” There are many people, said McElroy, “who think, what’s the big deal about voter ID? You need a (driver’s) license to but cigarettes, you need a license to buy beer, all these things you need ID to do. It’s not necessarily crazy right-wing people who are saying this, it’s our friends, neighbors, and union members. The Commonwealth Court has delayed implementation of the Voter ID law. Voters will be asked to show voter ID in November as they were in the primary, but they will be allowed to vote even if they do not have ID. This decision will hopefully allow more Pennsylvanians to exercise their right to vote. In order to make sure this become a reality please remember to register to vote. Voter registration forms are due this weekend at the County Bureau of Elections. Following the jump are some reactions to the Commonwealth Court’s decision. “Today’s decision means one thing for Pennsylvanians: eligible voters can vote on Election Day, just like they have in previous elections in the state. “The right to vote and choose our leaders is at the heart of what it means to be an American. The President and his campaign are committed to making sure that every eligible voter, regardless of party, has the ability to make their voices heard and participate in the electoral process. Today, we achieved another significant victory in our historic efforts to protect the right to vote when a Pennsylvania judge blocked implementation of the state’s restrictive voter ID law for this year’s presidential election. The Pennsylvania voter ID law was one of the most onerous in the nation. It imposed heavy burdens on tens of thousands of Pennsylvania voters who lacked the particular kind of photo ID specified in the legislation. The court concluded the state had failed to establish procedures to cure deficiencies in access to new photo IDs, and predicted that implementation of the law would result in the disenfranchisement of eligible Pennsylvania voters. As a result of the judge’s ruling, all eligible voters of the commonwealth will be able to exercise their fundamental right to vote on Election Day, just like they have in previous elections. Democrats and voting rights advocates have now scored several major victories in voting rights cases-not only in Pennsylvania, but also in states like Florida,Iowa, and New Hampshire. We remain committed to making sure that every eligible voter has the ability to make their voice heard regardless of political party. Though we celebrate these victories, there is still much work to do. In the weeks ahead, we must ensure that all voters know how to participate, and can access the ballot box on November 6. For more information on how to vote in your state, go to www.gottavote.com today. In the wake of Commonwealth Court Judge Robert Simpson’s temporary injunction against requiring Pennsylvania voters to show a current, valid government-issued photo ID, state Rep. Babette Josephs, D-Phila., is hopeful that a more permanent ruling is applied. “With his first ruling, Judge Simpson abdicated his judicial responsibility in the hope that someone else would make the decision for him on this controversial law. The Pennsylvania Supreme Court then did the same by sending the case back to the lower court. It took a second try, but Judge Simpson finally acted, and I’m glad of the result,” Josephs said. Under the ruling, the same rules that were in effect for the primary election will be in effect for the Nov. 6 election, meaning that election workers will ask to see valid photo ID, but if voters do not have it, they still will be allowed to vote – and not by a provisional ballot as required by the law: they can vote in the booth. 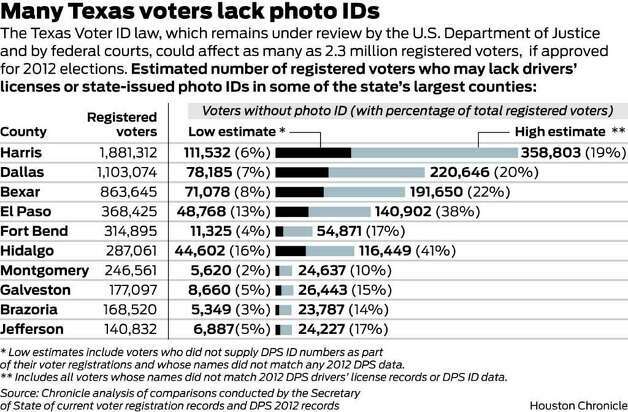 As an example, Josephs pointed to the law’s sponsor, Rep. Daryl Metcalfe, who said last month that anyone who fails to obtain a photo ID for voting was lazy. 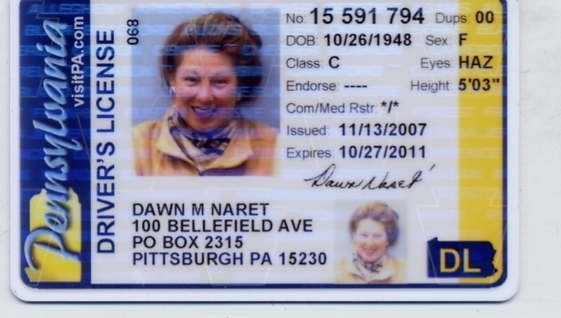 “It is bad enough that countless news stories have documented people’s difficulties, frustrations and inability to obtain photo identification for voting, but then to have the prime sponsor of the law call those hardworking, responsible Pennsylvania citizens ‘lazy,’ shows nothing except how much disdain Mr. Metcalfe has for ordinary, hardworking people. Citizens have documented hours, even days devoted to obtaining necessary paperwork, and not all of them have been successful in spite of their strenuous efforts,” Josephs said. Josephs also is optimistic that the Supreme Court will uphold the injunction on the expected appeal. Additionally, Josephs said she believes it is well past time for the Department of State to pull its voter ID commercial from the airwaves. Det Ansinn, the Borough Council president in Doylestown, told of taking his wife’s 91-year-old grandmother to a PennDot office, looking for a photo ID so she could keep her 70-year voting record intact. Joyce Block of Doylestown Township is such a dedicated voter that Ansinn took her from the hospital in a wheelchair to vote in 2010 because she couldn’t get an absentee ballot. She has an old voter registration card with her married name, but she has never had a driver’s license. Block had all the documents on the Department of State checklist – birth certificate and Social Security card, both with her maiden name; her marriage certificate; deed to her house; Peco bills; plus her IRS refund check. That wasn’t enough to satisfy PennDot, Ansinn said. Her Hebrew marriage license was rejected because the PennDot worker couldn’t read Hebrew, and the deed and Peco bill were rejected because they had her married name, not her maiden name. The state worker suggested she take legal action to switch the ownership of her home to her maiden name, which she hasn’t used in 60 years. Then, maybe, she will be allowed to vote in the November election. “This is absurd,” Block’s daughter, Randee Block, said at the meeting. The American Civil Liberties Union of Pennsylvania, the Advancement Project, the Public Interest Law Center of Philadelphia (PILCOP), and the Washington, DC law firm of Arnold & Porter LLP filed a lawsuit today on behalf of ten Pennsylvania voters and three prominent advocacy organizations, alleging that the state's voter photo ID law violates the Pennsylvania Constitution by depriving citizens of their most fundamental constitutional right – the right to vote. The plaintiffs are asking the Commonwealth Court to issue an injunction blocking enforcement of the law before November's election. If the law is not overturned, most of the plaintiffs will be unable to cast ballots in the fall, despite the fact that many of them have voted regularly for decades. Ms. Applewhite is an African-American woman born in 1919 in Philadelphia. Ms. Applewhite worked as a welder during World War II in the Sun Shipyard in Chester, Pennsylvania. Ms. Applewhite married and raised a daughter who for decades worked for various federal, Pennsylvania, and municipal government agencies. Now a widow, Ms. Applewhite has lived in Philadelphia for more than twenty years and enjoys five grandchildren, nine great grandchildren, and four great-great grandchildren. She has voted in nearly every election since at least 1960. Ms. Applewhite marched to support civil rights for African-Americans with Dr. Martin Luther King, Jr. in Macon, Georgia, and traveled on several occasions to hear him preach in Atlanta's Ebeneezer Baptist Church. Ms. Applewhite does not have and has been unable to obtain photo identification required by Pennsylvania's voter photo ID law and thus after voting at nearly every election for more than 50 years will be unable to cast a ballot this November. It also alleges that the ID requirement illegally adds a new qualification for voting. Article VII section 1 of the state constitution only requires that people be 18 years of age, U.S. citizens, and residents of Pennsylvania and their voting district. Finally, the suit claims that the voter photo ID law irrationally distinguishes between in-person and absentee voters because the latter can vote without photo ID (just writing down the last four digits of the Social Security number). Pennsylvania allows people to vote absentee only if they can demonstrate an impossibility of getting to the polls on Election Day. While in-person voter fraud is virtually nonexistent, there have been far more reports of absentee ballot fraud across the country, yet under Pennsylvania’s law this form of voting is exempt from the photo ID requirement. 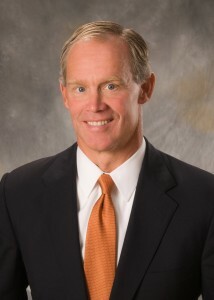 Lawyers for the petitioners filed a motion for preliminary injunction with the court, asking for expedited discovery and a trial date in June in order to allow the Commonwealth Court to decide the case in sufficient time to permit the Pennsylvania Supreme Court to review the decision in advance of November’s election. Let's all keep our fingers crossed that the law triumphs over the racism and cupidity that reigns amoungst the GOP in Harrisburg.